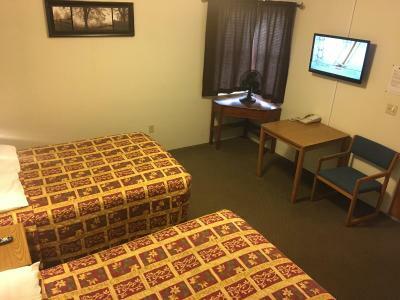 Lock in a great price for Sidney Motor Lodge – rated 8.3 by recent guests! It was clean. It was $30 w/ tax. It's across from a Safeway. That's it. Great value for the money. Very clean. Friendly staff. The “mom and pop” experience. The room was great with a rocker recliner that I enjoyed. I so enjoyed the hometown experience. Loved having a microwave and a small refrigerator. 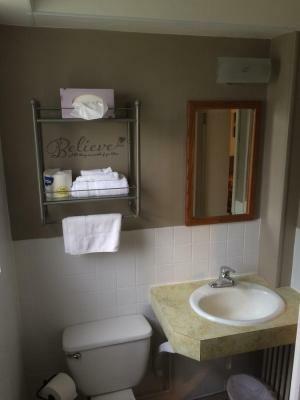 Very nice property, quaint rooms as expected, that were very clean and well maintained. The owner was very friendly and accommodating, giving us some helpful hints on the area. It was nice to stay in a place that gave you that good old-fashioned welcome feeling. Almost like staying with family on your trip home. If we pass through Sidney, we will be staying at the Sidney Motorlodge again. Such nice owners who work so hard to make you feel welcome !!!!! Not a chain. 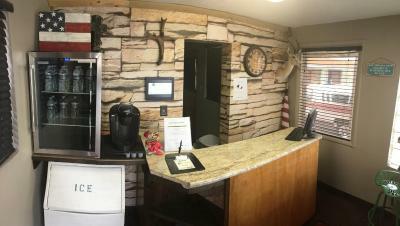 We wanted to support downtown Sidney, not the new, big, fancy motels out by Cabela's Central air was perfect. Staff super friendly. Friendly, helpful, business owner. Like a little apartment, cozy. 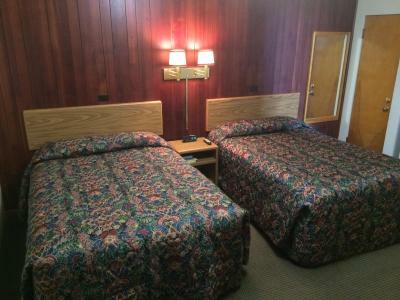 I just love staying at this cozy little motel. It is quiet and clean. The internet service is fast and the owner is friendly and will go out of his way to make you comfortable. We have stayed here before this stay and will stay again next time we are in Sidney. The owner, Jack, was super! Very friendly and accommodating. 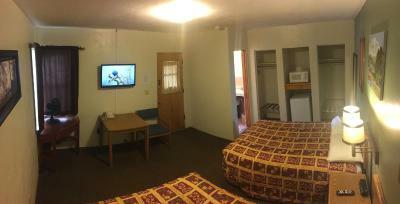 We had a cabin type room that was roomy and comfy. Jack brought us a coffee maker and made it clear if we needed anything to let him know. Wifi worked great and was easy to access and secured! 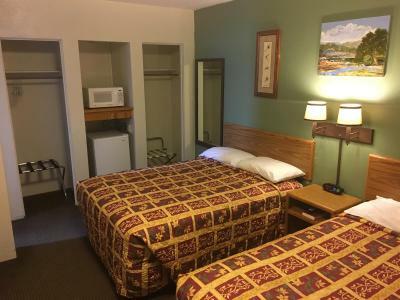 Sidney Motor Lodge This rating is a reflection of how the property compares to the industry standard when it comes to price, facilities and services available. It's based on a self-evaluation by the property. Use this rating to help choose your stay! Located in Sidney, Sidney Motor Lodge has accommodations with a seating area and a kitchen. Complimentary WiFi is available. 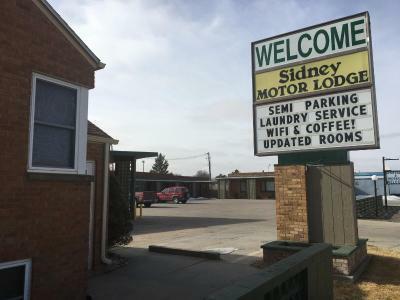 When would you like to stay at Sidney Motor Lodge? 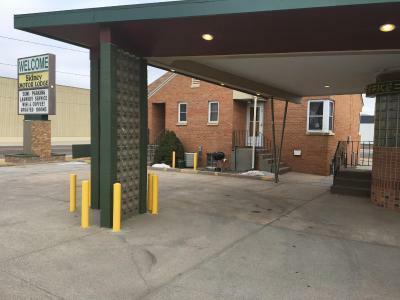 House Rules Sidney Motor Lodge takes special requests – add in the next step! 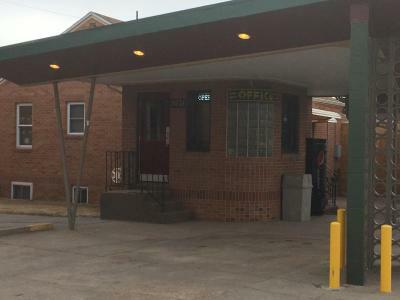 Sidney Motor Lodge accepts these cards and reserves the right to temporarily hold an amount prior to arrival. Please inform Sidney Motor Lodge of your expected arrival time in advance. You can use the Special Requests box when booking, or contact the property directly using the contact details in your confirmation. 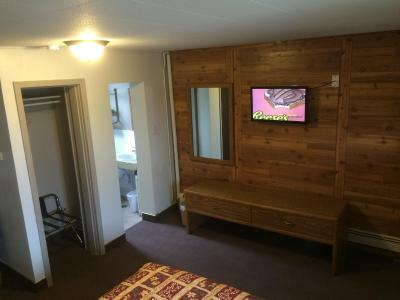 Sometimes you book at a budget motel and it is just one bad vibe after another. This one has extra pet fees and language posted inside the room about everything being inventoried, if anything is missing you are charged. Further the place has central heating but a fan is provided (per sign in room), it wasn't. So then there was a concern that they would think I took it. Everything was was just minimal: if there was a corner to cut, it was cut. I read a review before I booked about the desk clerk smelling of pot; I booked anyway. But it is true, the woman appeared from out back to check me in super reeking of pot smoke. She was friendly enough but it is also part of the experience booking here. I couldn't wait for the night pass so it would be time to move on. It was very cozy. Just like being at home. 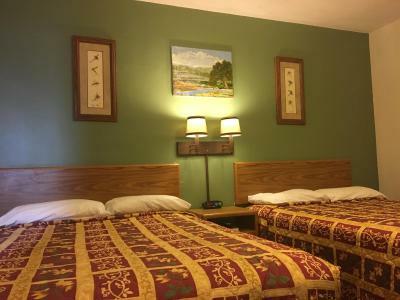 There is nothing to dislike about this small cozy motel. 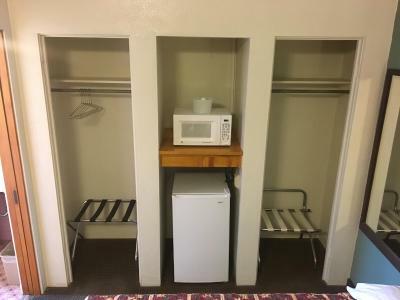 Very nice, clean motel. 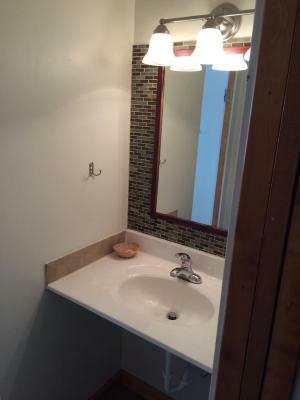 This property is dated but it is kept up very well. Has a rustic feel to it. 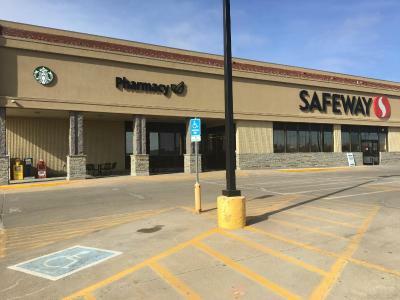 Is is located just off the major highway by a 2 minute drive, but the location is superb with a grocery store and several restaurants within a 5 minute walking distance. Other major shopping and restaurants are a 5 minute drive. If you need a place to stay overnight, stay at this place...you won't regret it. 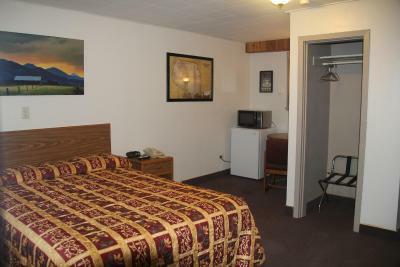 It is a gem of a motel in a small town with very friendly and hospitable owners and staff. 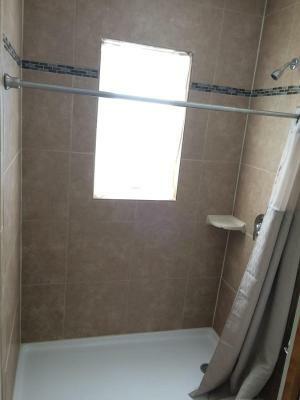 We did not use the shower/tub as it had a lot of stains in it. Location was good. The lady at the desk was very pleasant and helpful. We thought the beds were going to be uncomfortable when we saw them, but we actually slept very well. There is value and there is just cheap. This place is just cheap. Beds are springy with almost no support, pillows are old and flat, towels are small, scratchy and downright ancient, the toilet paper was even scratchier and the worst I've dealt with in the US, and the whole place seems just run down. The bathtub had been cleaned with an abrasive that made it rough and look dirty while the shower head was seriously below standard. Location is well off highway but near train tracks. I don't expect luxury but I do want the basics done right. No access to ice after 10p. Shower head sprayed so fine water was cold by the time it reached me. 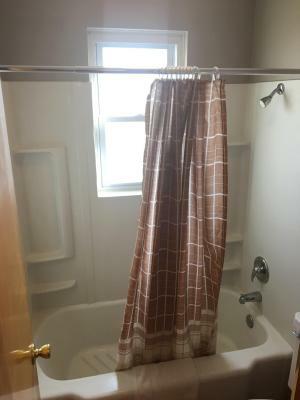 Shower curtain was too short. Water ran onto the floor. 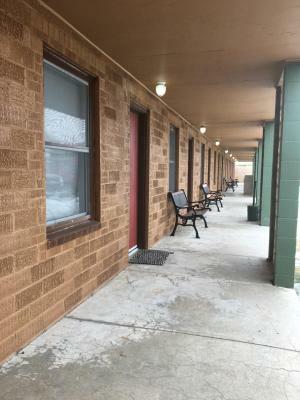 this was a no frills motel. Management was not always onsite. Not sure where the ice machine was or if there was one. Maybe the train once in the night. Uncomfortable bed, tap water tasted bad, no staff on duty when i arrived or "checked out." Room temperature was too warm and no thermostat to adjust it. No wifi.